As the Facebook IPO fever is capturing headlines everywhere, it is exciting to see what changes it will bring to the paid search arena. More and more companies are realizing that online advertising is on the cusp of an important turning point and are adjusting their online advertising budgets to accommodate Facebook ads. Facebook advertising has the potential of targeted advertising with the added advantage of the “trust factor” when one’s friends’ recommendations and “likes” are added to the mix. Advertisers are salivating at the thought of the potential reach that the Facebook “trust factor” brings. 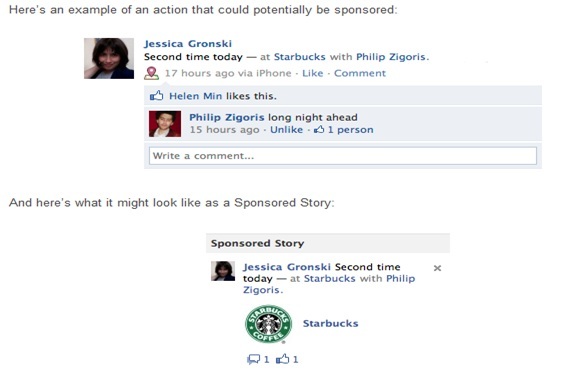 Facebook has been testing the new “sponsored stories” advertising format for the past three months and in a well timed move is making this available to advertisers in the news feed -just as Facebook filed for an IPO on February 1st, 2012. The sponsored stories are an exact copy of any posts, likes, recommendations, or check-ins that a user puts up on their wall. The only difference is that if the user references a business, the business can choose to pay Facebook to have this post pulled out and re-posted on the top right hand column of the home page in the much coveted top position on the newsfeed page. 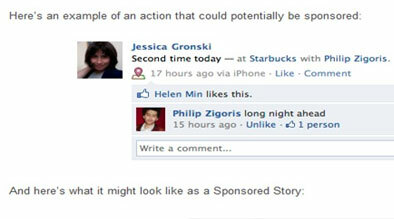 The original user’s name and photo will appear next the sponsored story. Since the newsfeed is constantly being refreshed with the latest posts and thereby pushing old posts to the bottom and off the first page, sponsored stories helps a business get more mileage from being mentioned on Facebook. Marketers will be able to leverage sponsored stories to bring a valuable word–of-mouth element to their campaigns at a scale that has previously not been available to them. With 845 million users per its IPO filing, Facebook advertising should be included in 2012 advertising budgets of all companies that look to draw revenue from online sales.